This is a great concept, and one that I see from time to time in vintage patterns from other decades. 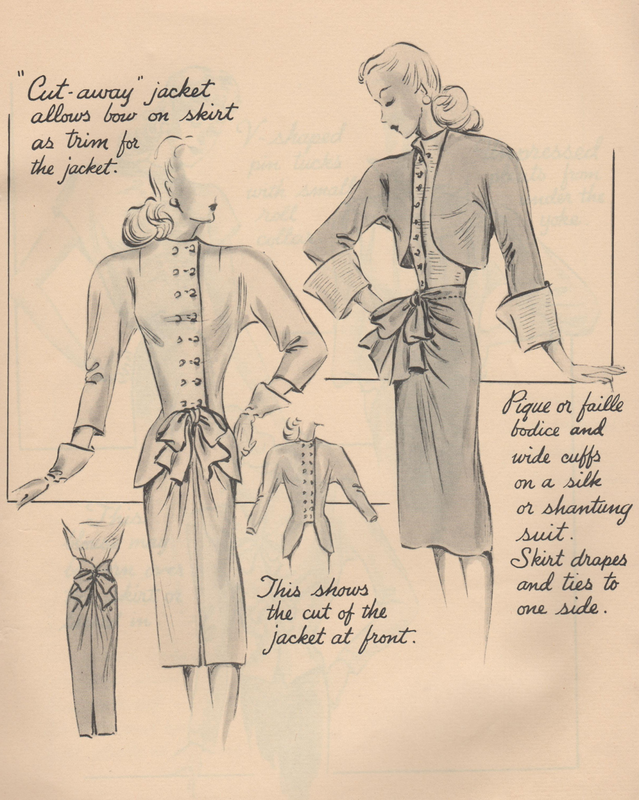 A jacket has the hemline or neckline cut-away so that the garment underneath (skirt, blouse, or dress) is exposed, with a bow or other detail that appears to be one with the outer garment. It always adds chic sophistication. I love those extra deep, wide cuffs on the bolero. And while both skirts are cute, I love the one on the left, with its shaped high waist above the bow. Fabulous!